Knit Up & Dye Podcast, Yarn & Knitting Patterns: "Brenda" is Coming! I'm doing a final test knit for this very cool pattern I designed a couple years ago. I gave the first test knit to my sister in law who reports that she uses it all the time and loves it still, therefore, I'm naming it after her. Like it? 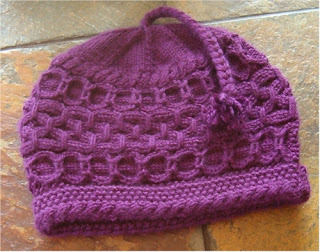 Want to score a FREE copy of this pattern? I'm looking for two (2) test knitters - just email me!